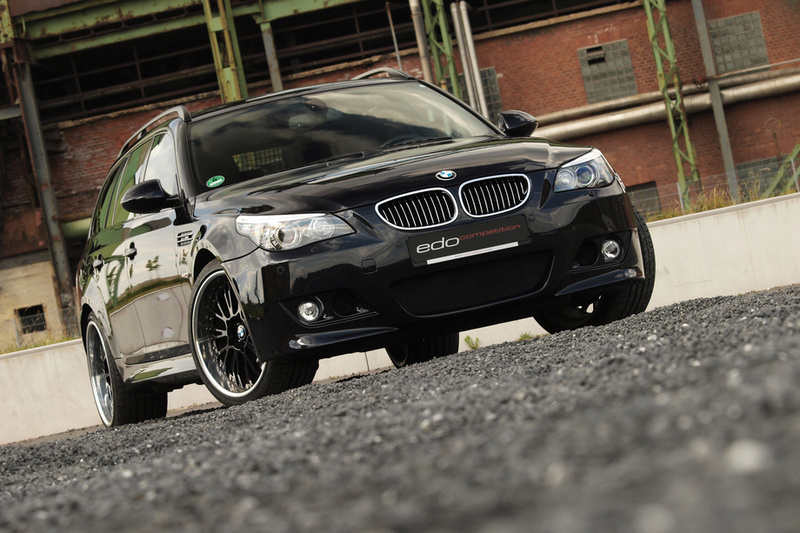 Edo Competition is a German tuning firm specialized in supercars from BMW family and more. 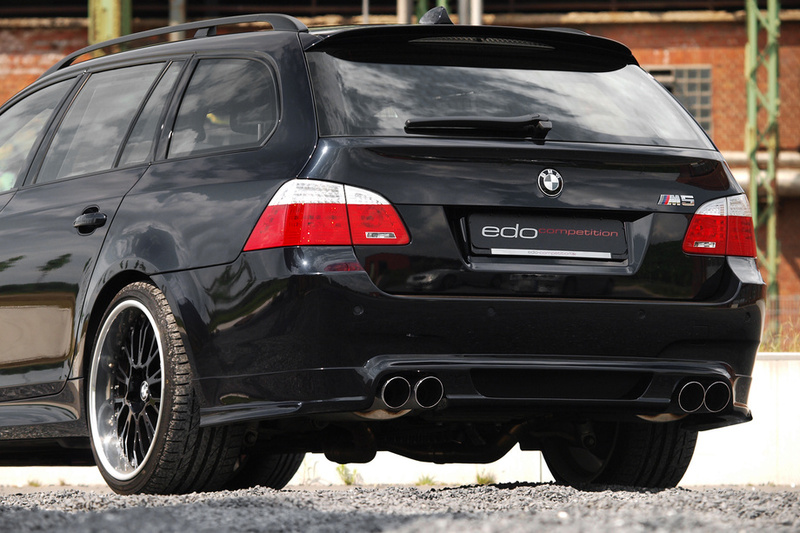 This time we have the BMW M5 Dark Edition by Edo Competition, extremely powerful, black and with impressive design. With this car, Edo Competition is promoting the “family car” term, having visible technical and aesthetically changes. BMW M5 Touring comes in the standard version with a 10-cylinder engine, offering 507 hp. The BMW M5 Dark Edition by Edo Competition engine offers 555 hp with 560 Nm of torque and accelerates from 0 to 100 km/h in just 4.5 sec and to 200 km/h in less than 10 seconds. This performance can be made by optimization of the control unit and by adding sport air filters and new exhaust system. 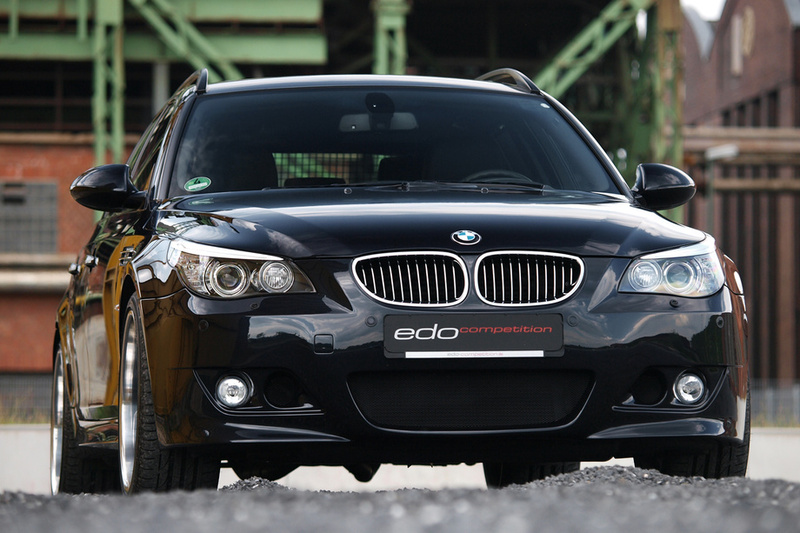 Although the BMW M5 Dark Edition by Edo Competition is one “family car”, can easily reach 305 km/h. I don’t think this is right, but it can, so it means it’s a powerful car. At the exterior, Edo Competition offers news aerodynamic kit, with front and rear redesigned spoilers, the ceiling has an aggressive spoiler, too and all four drums of new exhaust makes it count. BMW M5 Dark Edition by Edo Competition also has 20-inch wheels and Dunlop tires, with 255/35 R20 in the front and 285/30 R20 at the rear. We don’t have any photos with BMW M5 Dark Edition by Edo Competition interior, but the tuning firm announced carbon fiber accents and leather inserts and also a 360 km/h graduated speedometer. Previous page Previous post: Watch out! Ford Police Interceptor is here!